Cortex Challenge Kids is an exciting new brain-busting card game for kids! 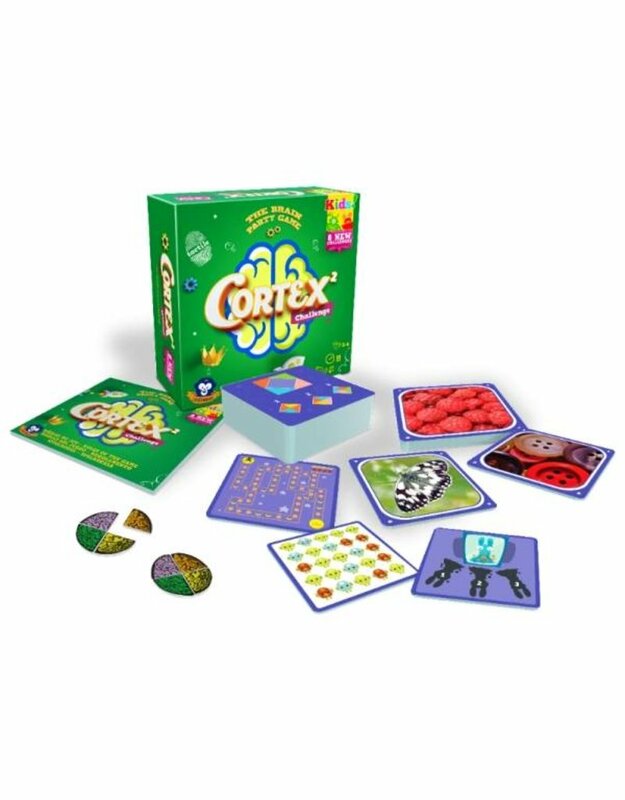 Cortex Challenge Kids tests up to six players’ memory, cognition, and sensory perception. It even includes texture cards that are used during ‘Touch Challenges’, where players must guess what they are feeling, adding a unique element that is often neglected in games. Players’ brain powers are stretched to the max as they race to be the first to match symbols, correctly remember all objects on a card or find the route out of mazes, amongst many other tests! Winning challenges allows players to add pieces to their brain puzzle which they must complete before their opponents in order to win the game. Cortex Challenge Kids is sure to tax the mental abilities of players both young and old!